Created this logo for a local Star Wars Legion Tournament. Star Wars Legion is a table top wargame, played with miniature painted models. The tournament organizer wanted a logo he could use for the Facebook page and T-Shirts. I wanted to use a roundish design that can be used over the breast on the shirts. The colors were based on the actual colors of the Porg creature and the orange of Luke Skywalkers X-Wing jumpsuit. 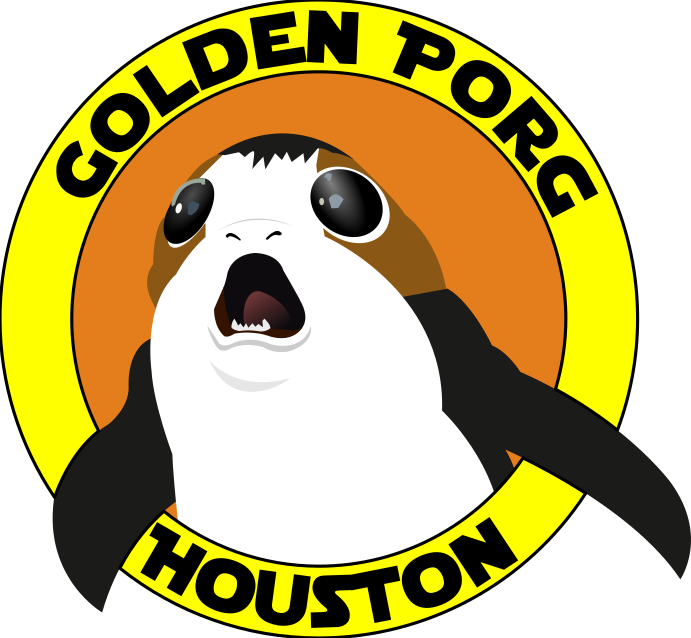 The gold/yellow is also used because of the tournament name “The Golden Porg”. I feel the colors work nicely together and will look good on black, grey, and blue shirt. I created the logo with the software Inkscape.